The St. Lawrence Seaway is the gateway to the heart of North America. The international waterway consisting of a system of locks, canals, dams and locks in the St. Lawrence River and linking channels between the Great Lakes with the Atlantic Ocean. The seaway is 2,342 miles(3,769 km) long. 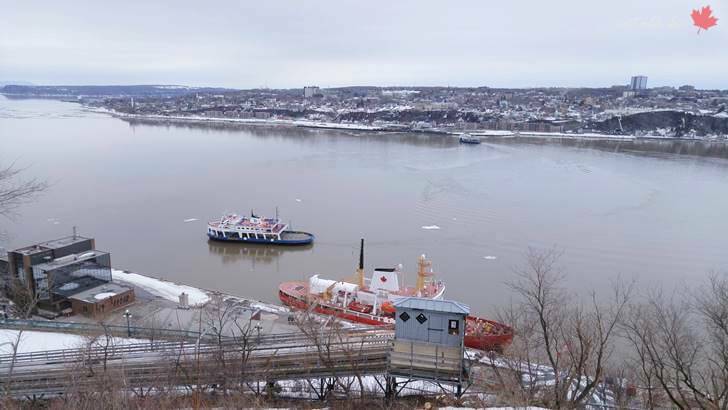 The St. Lawrence Seaway’s complex system of locks – devices for raising and lowering boats between stretches of different levels on river and canal waterways – charges ships tolls of $30 per lock for the journey. Cargo shipping on the St. Lawrence Seaway-Great Lakes system generates nearly $35 billion of economic activity for both Canada and the U.S. The seaway consists of a complex system of several locks for ships to pass through and ranges greatly in depth, with some areas measuring in with a minimum depth of 8.2 meters (27 feet). It can welcome vessels as long as 225.5 meters (740 feet). The St. Lawrence Seaway’s 15 locks connect the Great Lakes to the Atlantic Ocean. In Canada, The St. Lawrence Seaway Management Corporation manages and operates the 13 Canada locks for the owner, the Government of Canada. In the U.S. a federal agency called the St. Lawrence Seaway Development Corporation manages the Seaway’s two U.S. locks. The St. Lawrence River Seaway is vital to international trade: without it, we couldn’t import goods from all over the world or grow our own economy by exporting Canadian-made products. Every year, the St. Lawrence Seaway and St. Lawrence River at large handle up to 50 million tons of cargo! The seaway is considered to be one of the greatest engineering feats of all time. The majority of the cargo moving through the Seaway is grains, breakbulk, iron ore, coal and other mine products. Since opening in 1959, Seaway ships have moved over 2.75 billion tonnes of cargo worth about $400 billion. 세계 여성 억만장자 TOP 10, 아마존 CEO 부인 1위 등극?